Cedar lining is a brilliant and cost-effective way to enhance any outdoors area. They add style, panache and sophistication to any size of patio. 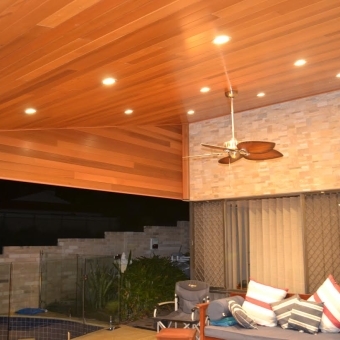 Many Perth residents have converted steel and timber patios into beautiful cedar lined ones. It’s a trend that started a few years ago, and it’s something that is set to continue well into the future. Regal Patios and Carports has 30 years of experience of installing cedar lining. 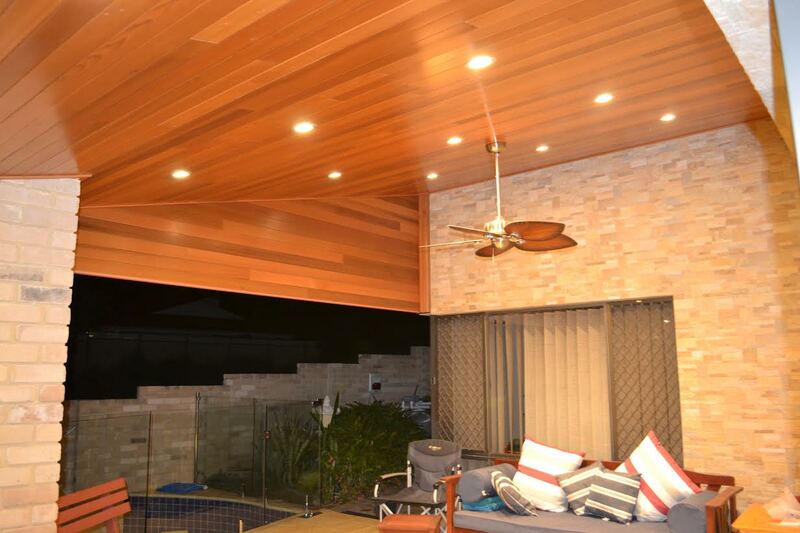 We are Perth’s leading designer and installers of cedar lining for patios. It’s no secret that homeowners in Perth want to improve the look of their properties. One of the first things that people will notice is the exterior of their homes. When they have family or friends visiting, many hours get spent relaxing outdoors. The patio offers a useful and attractive venue for entertaining guests and family members. The trouble is, Gyprock and HardieFlex ceilings aren’t the most beautiful things to look at. And they can spoil an otherwise sleek and modern look to any patio. 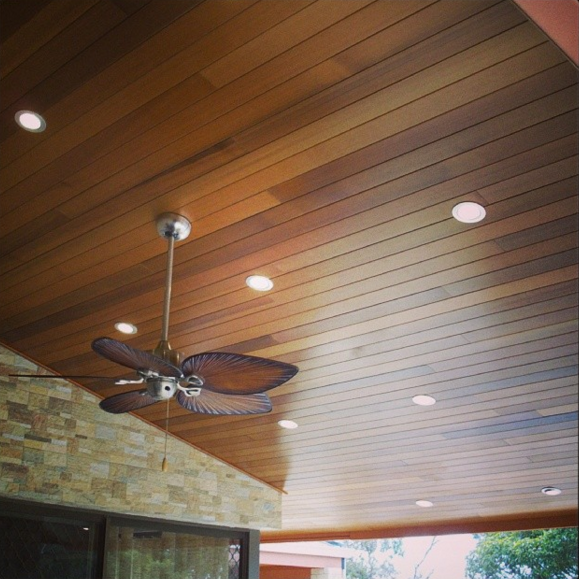 In recent years, Perth homeowners have opted for cedar lined patio ceilings. The main reason is that they boast an attractive and elegant finish. But, they are also useful for concealing steel and timber beams. As a result, cedar lined ceilings can provide a uniform and stunning finish to any size of patio. Timber patios and pitched pergolas. Do you like the idea of transforming your patio ceiling with cedar lining? If so, give us a call today to find out how we can help you achieve that goal! Why choose Regal Patios and Carports? It’s no secret. 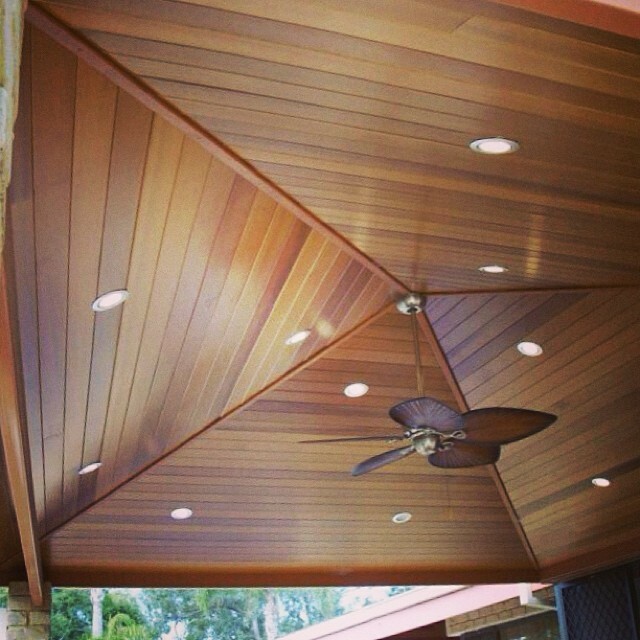 There are many providers of cedar lined patio ceilings in Perth and surrounding areas. But, why should you choose Regal Patios and Carports? Well, we’ve been in the industry for more than 30 years. We have extensive knowledge and experience of patio installations. Our friendly team of experts take the stress and hassle out of converting patio ceilings. Another reason many Perth residents choose us is because of our high standard of work. When selecting Regal Patios and Carports, you can be sure of a premier service. We also use nothing but the best materials in any project, regardless of how big or small it is. Our reputation got built on the fact that we never use sub-standard products. That means homeowners can enjoy our high-quality patio installations for many years to come. Unlike some of our competitors, Regal Patios and Carports offer a no-obligation quote service. That means you don’t need to feel compelled to use us for cedar lined patio ceilings! You can also trust us to give you friendly, unbiased and honest advice. Sometimes, you might not know how to achieve a certain look with your patio. Feel free to contact us to discuss your ideas and requirements.